One of our goals for 2016 is to eat at more locally owned restaurants. Today, while running errands, Navy and I decided to get an early start on that. 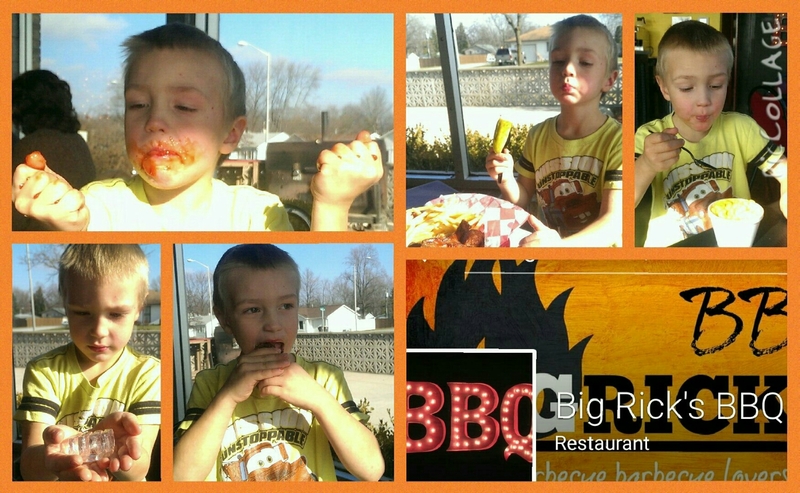 We stopped at Big Rick’s BBQ on Hobson. We both ordered the wings special with an extra side of mac ‘n cheese. The wings were delicious and messy. The coleslaw was creamy and tangy. I had two helpings (mine and Navy’s). Navy really liked his mac. The café itself is kind of small, only seating about 20. There’s a patio, but December is usually a little too chilly to use the patio. I can see at peak hours that seating may be an issue, but they do offer carry-out.